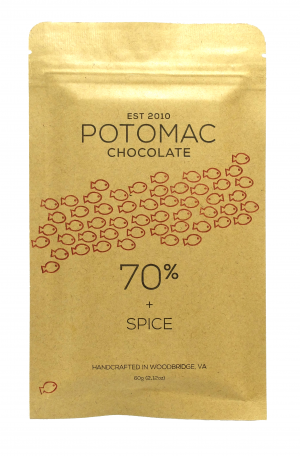 Potomac’s Upala 70% dark chocolate sprinkled with crunchy cocoa bean nibs. 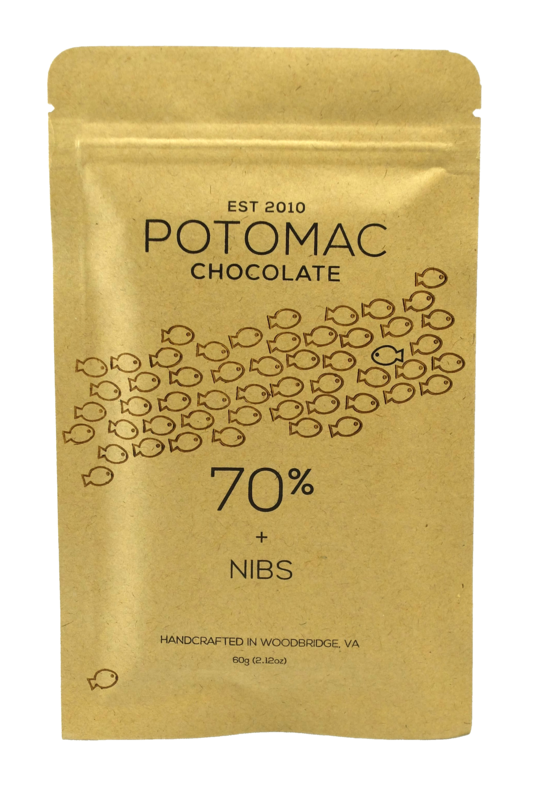 Made from cacao grown by a collection of smallholder farmers, then fermented and dried by Nahua Cocoa in Upala, Costa Rica. Rich and earthy with notes of coffee, cream, nut, and red fruit.